An Aadhaar card holder using an Aadhaar VID will not be required to share their Aadhaar card number at the time of authentication. Aadhaar virtual id on the UIDAI's website -- uidai.gov.in. The Aadhaar card-issuing authority -- UIDAI (Unique Identification Authority of India) -- earlier this year announced the introduction of a 16-digit identification number called Virtual ID (VID), as an alternative to Aadhaar number to verify an individual's identity. An Aadhaar card holder using an Aadhaar VID will not be required to share their Aadhaar card number at the time of authentication. 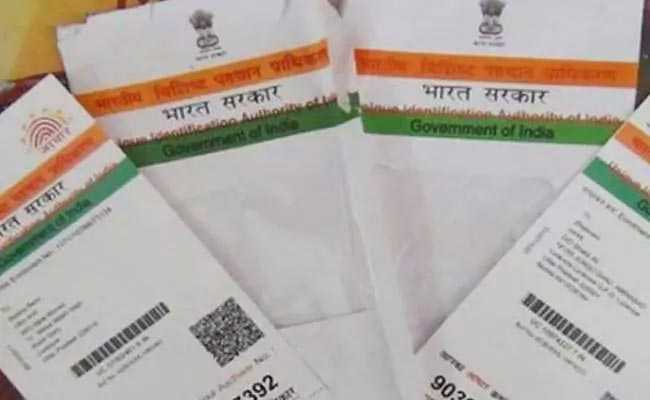 The UIDAI had asked all agencies to start accepting VIDs from their users from June 1 this year, but recently decided to extend the deadline till August 31 for banks. Telecom companies and e-sign companies which have not implemented the new system till July 1 will have to pay 20 paise per transaction. These charges will be reversed if they comply by the end of July. 1. Go on the UIDAI website (uidai.gov.in) and find the Virtual ID Generator link under Aadhaar services. 2. After clicking on Virtual ID (VID) Generator, click ok on the pop-up. 3. After clicking on the pop-up, it will direct you to a page, where you need to enter your Aadhaar number and security number and then click on enter OTP (one-time password). 4. You will receive the OTP on your registered mobile number with UIDAI and then check the generate VID checkbox. 5. Once complete, the virtual id will be sent to your registered registered mobile number. Virtual id can be generated only once a day, however, there is no deadline to use it. But, once you generate a new virtual id, the older one becomes invalid.